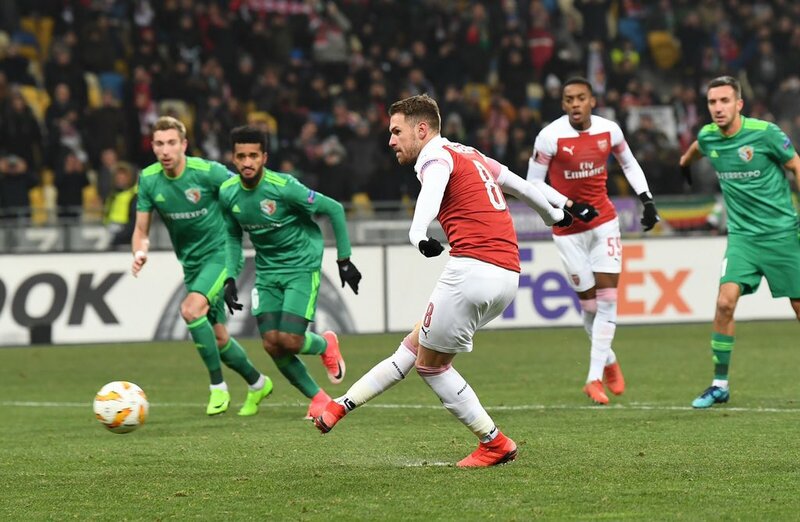 Everton are weighing up a January move for Arsenal’s Aaron Ramsey who is set to leave the Emirates Stadium for free at the end of the season. The 27-year-old has been excellent at times during his career at the north London but now it appears to an end. The Gunners have decided against handing Ramsey a new contract, much to the player’s disappointment. The Welshman confirmed an offer had been taken off the table in October. “Everything has been going great with the club – we thought we were in a position where we had agreed a deal but that’s no longer the case,” the midfielder explained, as quoted by The Guardian. It’s now been reported by The Mirror that Everton are lining up a swoop for the player. The Toffees are not the only club looking to sign Ramsey though. Liverpool, Bayern Munich and Juventus have all been linked with moves for the Wales international.